Inhabitants of the Neolithic community at La Draga (Banyoles, Girona) used fungi to light or transport fires 7,300 years ago. The discovery represents one of the oldest examples of the technological use of fungi documented to date, and is the result of several archaeological interventions at the site, which also yielded an exceptional collection of fungi, unique in all of prehistoric Europe. "Despite the use of fire being well documented, at the La Draga site, we had not yet found proof of the materials used to light or transport it. Data gathered points to the majority of fungi recovered were selected, taken to the forest surrounding the site, dried and stored, with the intention of using them as tinder. 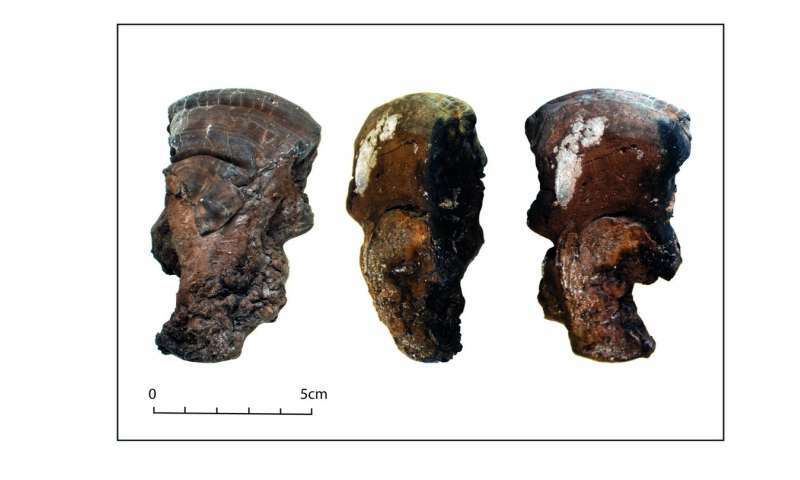 In addition, it was evident in two of the samples we analysed that they were being used for this purpose, which proved our hypothesis," says Raquel Piqué, researcher at the UAB Department of Prehistory. The site of La Draga is one of the exceptional examples for the study of archaeological remains under the phreatic level, and this has allowed researchers to recover up to 86 individual samples, some of them complete, and conduct a taxonomic study that verified the presence of six fungi species: Skeletocutis nivea, Coriolopsis gallica, Daedalea quercina, Daldinia concentrica, Ganoderma adspersum and Lenzites warnieri. "Being able to recover these remains is extraordinary, given that their conservation as archaeological material is very difficult due to decomposition," says Antoni Palomo, research at the MAC and the UAB. The majority of fungi recovered at La Draga are polypore, growing on dead tree trunks and parasitising living trees. They are non-edible species that have traditionally been used to light fires, and are therefore known as "tinder-fungi." Their woody structure makes them highly inflammable, and therefore ideal for starting and transporting fire. Species used for this purpose include Daedalea quercina, different kinds of Ganoderma, Coriolopsis gallica and Daldinia concentrica, all of them documented at La Draga. Tinder fungi were used to catch the sparks produced by striking flint against a mineral rich in ferric sulphide such as pyrite or marcasite. The researchers say that the discovery makes La Draga an exceptional example for the study of prehistoric fungi. The site produced a higher variety of fungi than others retrieved to date. The samples are part of a set of discoveries made at the Neolithic site of La Draga, located at the eastern shore of Lake Banyoles. The settlement is one of the first enclaves where Neolithic farming societies decided to settle in the northeast of the Iberian Peninsula, about 7,300 years ago, transforming the surroundings in order to carry out the agricultural and livestock practices necessary for their subsistence. The most outstanding feature at the site is the conservation of elements built with wood and other organic materials, an exceptional feat for such an early society and which contributes to a more complete comprehension of these first farming societies of the westernmost Mediterranean.